Now Reading: Is washing your hair actually causing damage? Sometimes, washing your hair doesn’t feel as good or do the job it’s supposed to. Chances are, you’re overlooking the basics. So, what are they? 1. Are you using the right shampoo for your scalp type? Yes, there are three types! Clarifying for oily, moisturising for dry, mild for fine and sulphate free for coloured. If you wash your hair every day because of exercise, look for a gentle, non-abrasive shampoo with natural ingredients. They do their job with little or no damage. 2. You probably didn’t know that if you wash your hair more often than you need to, your tresses tend to produce more oil and get dirtier quicker. So, reset those calendars. Choose your frequency of washing based on your hair type. Oily and fine hair needs to be washed every day, normal and dry hair- thrice a week. 3. We all love a nice lather. But too much shampoo will leave your scalp extra dry and dehydrated. Pssst… Here’s what you need to do: Use just the right amount for your hair length, (around a coin sized drop for shoulder length, double for longer) mix it with a mug of water, massage your scalp and let it remove the dirt. 4. As far as conditioner goes, don’t apply it on the scalp and focus on the ends. Conditioner needs to stay away from the roots, as that is where the natural oils are concentrated. Also, if you have short hair, it is best to skip conditioner altogether. Or, to use it sparingly and make sure it doesn’t touch your scalp. 5. Rinse well. What do we mean by well? Enough, so that the water running from your hair is clear. Shampoo residue will stifle your scalp, it needs to breathe and produce its own natural oils. 6. Add a filter to your shower and keep your water from adding grime and impurities to your hair. You don’t want dirtier hair from when you started off! 7. Do you pile all your hair to the top and start lathering? That’s not such a good idea. After all, It leads to a tangled mess. Instead, start from the roots, which are young and oily, and then move to the ends, which are usually older and drier. 8. Scrubbing is not really equal to squeaky clean. Gently massage instead, because friction leads to static, which leads to damage. Not the end result we were going for! 9. As nice as it may be to have a steaming hot shower, it may not be doing your hair any good. Start with warm water, which is perfect to open up the pores and release dirt and grime. Cold water is the best way to end the shower, because it minimises frizz and adds shine, by keeping the cuticles closed. As we say, mix it up to shine it up. 10. Hair coming off onto your hair brush after a wash? Well, it’s probably the way you’re drying your hair. Use a soft muslin cloth towel or a cotton t-shirt on your hair and dry it by gently squeezing out the water from the ends. Ditch the blow drier and let it air-dry. 11. Use a wide-toothed comb to gently untangle your locks. 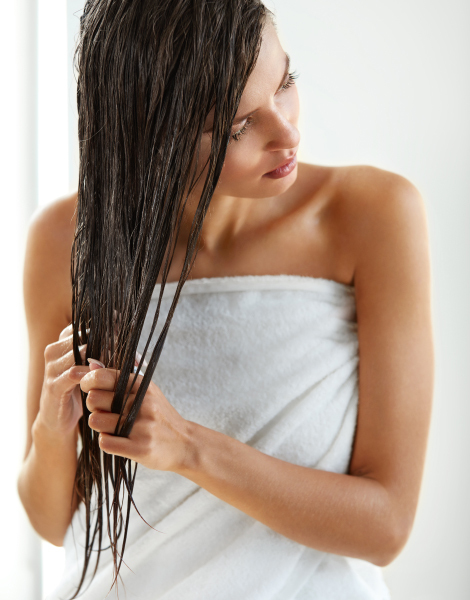 Your hair is brittle after a shower, so easy does it! Take a leaf out of the royals’ book on using the right comb. 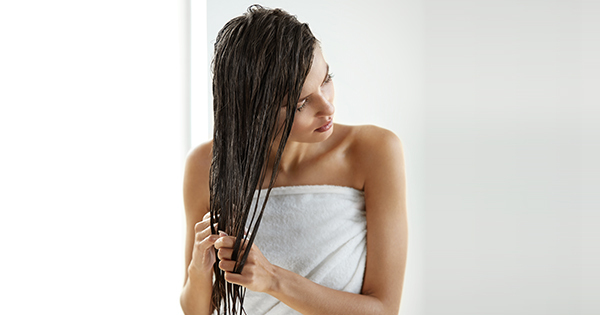 Washing your hair frequently is an important part of hair care. Using the right products, in the right way matters! Post-shower hair care is necessary to treat your hair right.